Filigree Cushion Halo Earring 1.24 ct. 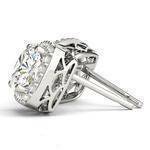 Cushion Diamond Stud Earrings 0.80 tcw. 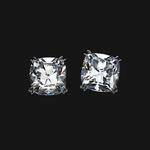 Cushion Diamond Stud Earrings 0.40 tcw. 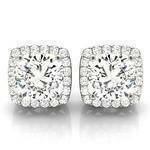 Cushion Diamond Stud Earrings 1.06 tcw. Cushion Diamond Stud Earrings 0.65 tcw.